Scientists attending the 50th Lunar and Planetary Science Conference (LPSC; March 18-22, 2019) engaged with early career scientists throughout the week, serving as presentation reviewers and mentors. ​The workshop is open to all teachers and nature center/parks educators. Lunar and Planetary Institute (LPI) scientists participated in the April 13, 2019 “Owls in Space Symposium” at Rice University. They spoke with university students and current NASA and commercial space professionals during the networking event attended by Rice alumnus NASA Administrator James Bridenstine. After registering, you will receive a confirmation email with details about joining the meeting. This effort is part of the SMD Science Activation program and the STAR Library Network-Collaborative Summer Library Program partnership. 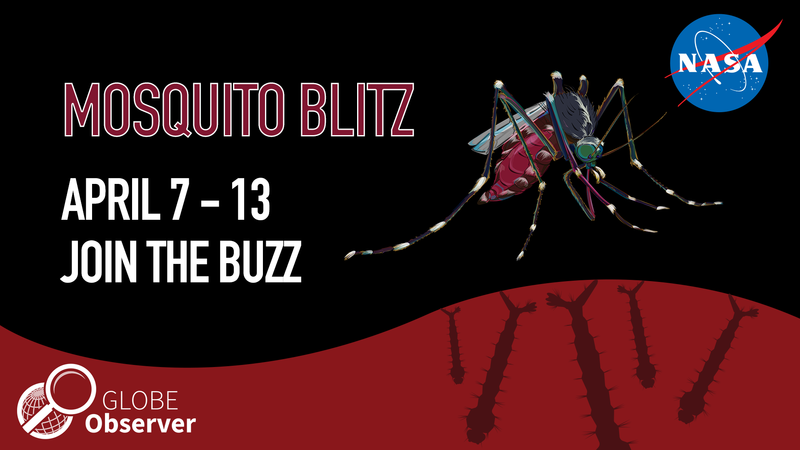 Our first GLOBE Observer Mosquito Blitz kicks off on Sunday, April 7 and ends on Citizen Science Day, April 13. We invite you, your family and friends to join us in this focused effort to gather observations of mosquito breeding sites. Grab your mobile phone containing the GLOBE Observer app and open the Mosquito Habitat Mapper. Go outside to check your local environment for standing water (mosquito breeding sites). 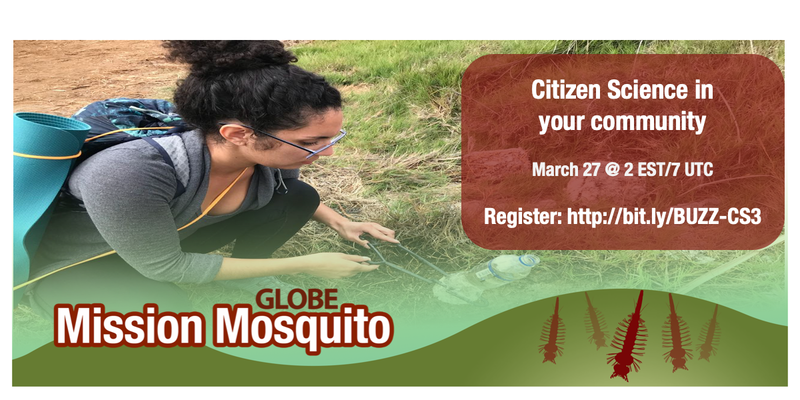 GLOBE Observer Mosquito Blitz kicks off on Sunday, April 7 and ends on Citizen Science Day, April 13. We invite you, your family and friends to join us in this focused effort to gather observations of mosquito breeding sites. Participate in the 2019 GLOBE AREN Project Wind Speed Engineering Challenge from April 1 – May 31, 2019. Challenge: Engineer a low-cost electronic or non-electronic anemometer (tool for measuring the speed of wind). On March 13, 2019, the Tom Green County Library System (San Angelo, TX), in collaboration with the Space Science Institute and its NASA@ My Library initiative, launched the Patron Experience Pilot project. The project aims to test ways that libraries can help foster the public’s interest in Earth and space science. NASA Space Science Education Consortium (NSSEC) attended the 2019 Society for Information Technology and Teacher Education (SITE) conference in Las Vegas..
Over one hundred people attended the Lunar Palooza portion of the Lunar and Planetary Science Conference in The Woodlands, TX on March 17th. Scientists and public engagement specialists from NASA Goddard’s Solar System Exploration Division, the Lunar Reconnaissance Orbiter Camera, and the Science Festival Alliance at MIT discussed lunar science and exploration, the Lunar Reconnaissance Orbiter mission, and International Observe the Moon Night with participants. The NASA eClips™ Team will attend the Virginia Homeschoolers Conference and Resource Fair March 22-23, 2019 at the Fort Magruder Hotel and Conference Center in Williamsburg, Virginia. The team will engage families in trivia games about common science misconceptions. This informal group will be invited to sign up to produce NASA Spotlite videos. NASA Spotlites are 90 to 120 second videos that correct common science misconceptions. April 2019-Land Cover (Spring in the Northern Hemisphere, Fall in the Southern Hemisphere) Begins April 1, 2019! Tree Height, Wetlands, and the Invasive Task Force: Live from New York. What Greens Up, Must Green Down: Greenings Live from Switzerland. The NASA eClips team encourages you to engage your non-formal student audience in Spotlite student production. NASA Spotlites are short videos that correct science misconceptions. Students research, create storyboards, write scripts, and film and edit videos to correctly teach science concepts to younger students. Please join us for one of two informational 45 minute webinars on Tuesday, March 12, 2019 (3:00-3:45 or 4:30-5:15 pm EST). NISE Network Ships 350 Earth & Space Science Toolkits Across the U.S.
•In February 2019, the National Informal STEM Education Network (NISE Network) sent out 350 Explore Science: Earth & Space toolkits to science and children’s museums in all 50 states, Puerto Rico, Guam, and American Samoa. All recipients are listed at: www.nisenet.org/earth-space-toolkit-recipients-2019. A webinar facilitated by NASA Astromaterials, Paige Graff, at the Johnson Space Center on February 13, 2019 brought students, educators, Solar System Ambassadors, Challenger Centers & more into NASA's Stardust Curation Lab. Participants came from 22 states, Mexico and Australia. The position is within the Office of Integrative Activities, which supports the NSF Director’s Office in policy analysis and special projects to address Foundation priorities. The IPA in the position currently is returning to Ohio State University.